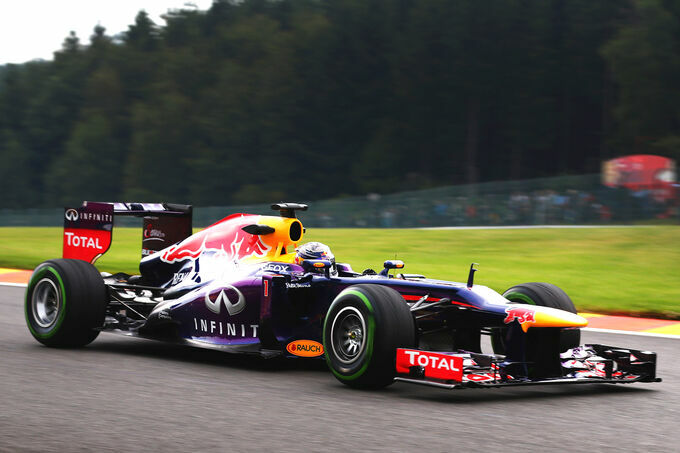 Formula One is finally back, and there is no better place to kickstart the finale of the 2013 season than at the wonderful Spa-Francorchamps circuit in Belgium. Although it was off for four weeks, only half of that time was spent on “holiday” and preparing for the next nine races. The factories only closed for two weeks so teams could begin their final development push for the remainder of the season before firmly switching to 2014 development very soon. Spa is a very unique circuit in that there is the ultimate compromise between straight-line speed and cornering ability. The run up from La Source (first corner hairpin) to the impressive Eau Rouge and Raidillon; the Kemmel straight; the long haul from Stavelot through Blanchimont back up to the Bus-Stop chicane before the start/finish straight, all provide the need to maximise top speed and reduce drag. However between these straights lie some of the most unforgiving mid-to-high-speed corners on the F1 calendar. Eau Rouge and Raidillon, despite once being a fearsome combination of corners, is easily flat, but only thanks to the downforce the modern F1 car produces. Rivage, Pouhon and the Fagnes curves demand good aerodynamic grip to compete for the best laptime. McLaren expect to be more competitive this weekend, and have retained the updates brought to the Hungarian GP a month ago. Although their form in Hungary was not as impressive, the aerodynamic demands from these parts will be fully exploited at Spa. Along with these parts they also brought with them this low-downforce rear wing, which is very similar to the one seen on last year’s car at this track. You can see that it has a very low Angle of Attack (AoA) and a very shallow depth. The endplates are identical to that of its higher downforce counterparts other than the number of horizontal slots that reduce the build up of vortices at the wing tips (read more about these slots and how they work here). They have retained the three strakes that are matched to a path of airflow coming off of the rear break ducts and help the outwash of the airflow coming through the rear wing endplates. The team were also using pitot-tube arrays ahead of the sidepods to assess airflow coming off of the front tyres. This data will more likely be used for developments around the lower regions of the sidepod rather than along the exhaust sensitive top-side, as McLaren have openly admitted that they will only be bringing updates to the car that are relevant to next year (when the current exhaust platform will be banned). Lotus had to delay the introduction of their new, long wheelbase E21 due to not carrying out all of the fatigue testing on the necessary parts. Longer wheelbases require a longer chassis and slightly altered suspension arms, so the team had to put the parts under crash and fatigue testing before being able to race them, as they are major changes to the car. It has been instead decided that the rumoured 120mm extended E21 will make its debut at Monza in two weeks time. That is quite a brave call from the Enstone outfit to be making such a drastic change at this point in the season. The idea behind the longer layout is to improve mechanical grip from the currently relatively short chassis, as well as opening up space behind the front tyres to control the tyre wake before it hits the sidepods. Along with their Drag Reduction Device (DRD), they also brought with them these new Vortex Generators (VGs) and horizontal cockpit canards. 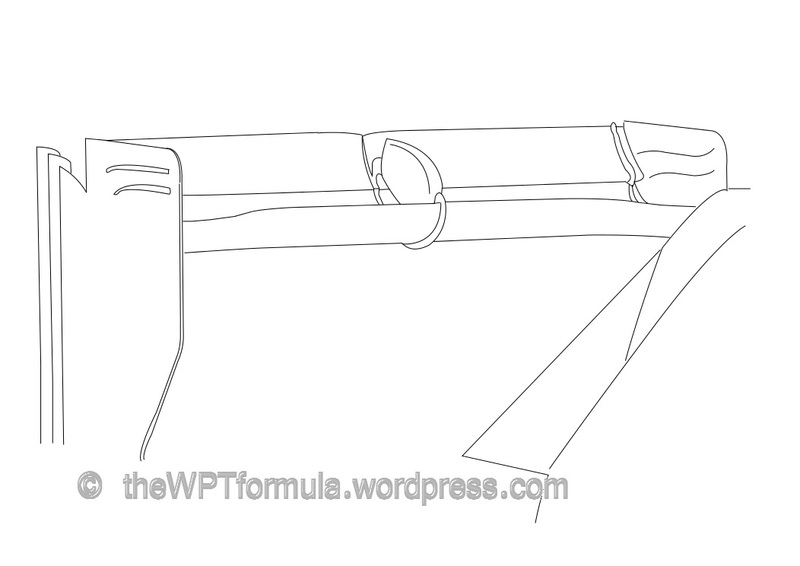 The VGs are the three, large fences that tower above the sidepod inlet. These generate vortices (hence the name) across the top of the sidepod, moving airflow over the exhaust plume to push it into the floor and create rear downforce. You may have noticed that these are very tall in comparison to some of their rival’s versions. This is because they are designed to work in a greater range of airflow speeds: at high speed, the fences do not need to be that tall to create a vortex. At low speed, however, the flow passing over a smaller surface area will not produce such a vortex. A greater surface area will allow slower moving airflow to still create small vortices and help boost rear downforce. The cockpit canards (beneath the wing-mirror mounts) are almost identical to those on the Ferrari. These are also designed to produce long vortices along the top surface of the sidepod for the same purpose as above. It is also worth noting at this point that Lotus are still using the larger wing-mirror pod design as introduced in Hungary, which brings the questions as to whether this was an FIA introduced development or have Lotus found a simple performance gain? Also, the team appear to have not brought a low-downforce rear wing. This has perplexed me, as they also admitted after Friday practice that they were not going to run their DRD (due to little dry running) and the Renault engine is the weakest on the grid. Lotus have also opted to continue using the “pelican” chin beneath the nose, a device used to boost downforce at the front of the car by speeding up airflow beneath the nose and chassis. Removing this (as they did in Canada) would reduce drag. Perhaps they are not compromising performance and going for the more downforce induced route. We will have to see. 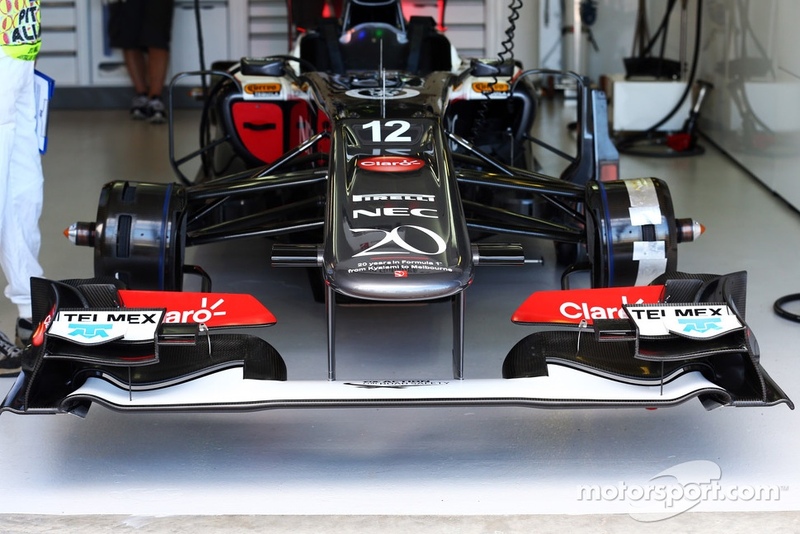 Above is an image of the revised front wing that the F138 will be sporting this weekend. The flaps have a much lower AoA and are now mounted much lower against the front wing flap adjuster near the outboard side. The profile has also been changed as they are now much more rounded. 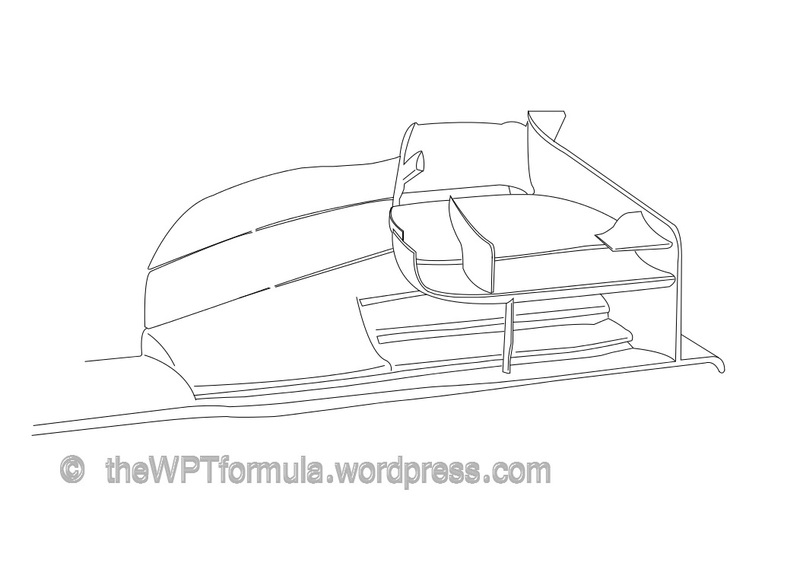 This design will alter the airflow coming off of the front wing to the rest of the car but not by a big difference. What Ferrari are doing here is reducing downforce on a local scale by taking downforce off of the front wing. Some engineers are very critical of this (particularly a certain Mr Gary Anderson), but it is a simple and cost effective way of producing a one-off package that is designed to reduce drag and maximise top speed. They are critical because changing a crucial component, such as the front wing, may damage the rest of the car’s flow structures and potentially cause inherent aerodynamic and balance issues, although I am pretty sure a few hundred Ferrari engineers have more of a clue about what they are doing than Mr Anderson alone. Sorry, Gary. The other installment on the car is this low-downforce rear wing. Featuring just two vortex reducing slots, the profile is so shallow that it would only be able to squeeze one more on. It is actually possible to place these slots beneath the wing instead to reduce the pressure delta, but this would interrupt the low pressure region beneath the rear wing that provides the car with rear downforce. It is also worth noting that the new endplates on this wing do not feature the tyre squirt slot (find out what they are here), whereas the McLaren endplates do, as seen above. During FP1 and FP2, the Ferrari’s appeared to be splitting their aero strategy between a higher downforce rear wing (a bit shallower than what is brought to most races) and the low downforce configuration as seen above, with Felipe Massa taking a preference to the latter option. Gathering data and finding the perfect compromise for the rest of the weekend will have been the main objective for the teams this weekend, so I wouldn’t read into the Friday times at all. It features the most extreme rear wing I have ever seen here it Spa, and it is one that will almost definitely be carried over to Italy. The profile is very shallow, the shallowest on the grid this weekend, and it does not feature any vortex reducing slots at all. The ‘V’ shape that appears along the trailing edge at the centre of the top flap has been ditched in favour of a tradtional straight edge. This is behind the new DRS actuator pod that has been shrunk to as small a size as possible to reduce blockage. Such a skinny wing is quite an ominous sight to the rest of the grid, as it shows how much potential rear downforce is in the RB9, such is the compromise with the drag reductions they are making. Also new is the flat and rounded nose. 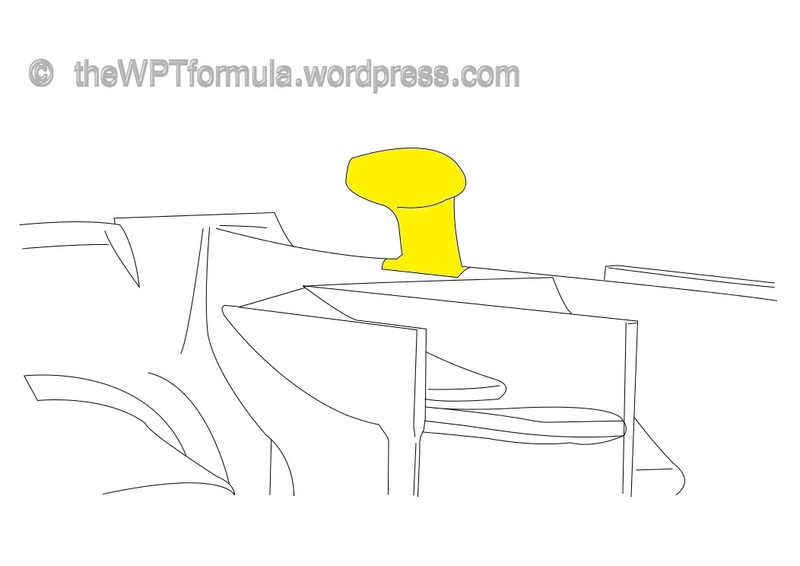 This appears to be a ground-up design compared to previous noses seen throughout this season, as those were mainly based off previous versions from 2011 and 2012 designed to suit different track characteristics. 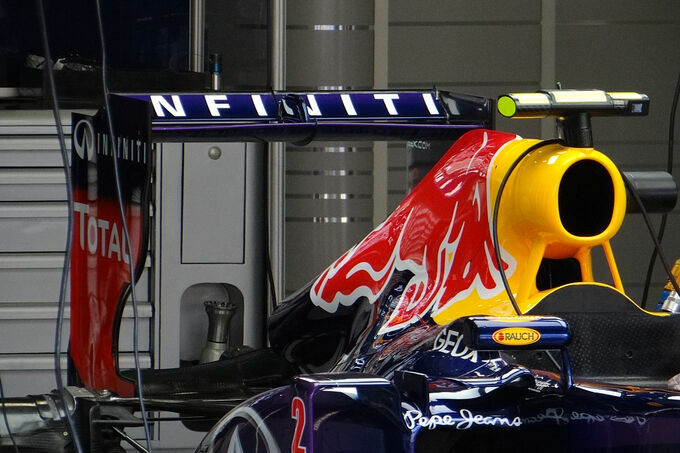 The new nose also appears to have a very small chin beneath it compared to its previous version. It isn’t very clear in the image link, but Red Bull have also repackaged the wishbones, track rod and steering arm assembly at the front of the car. This is an ongoing development path in this area that is linked to optimising the aerodynamics of the brake hub assembly and reducing front tyre wake. This area will most likely be developed right up until the end of the season as it can be carried over to 2014. Sauber were once again trialling different versions of rear wing, including the “spoon” iteration that was coupled to their DRD used on Friday. 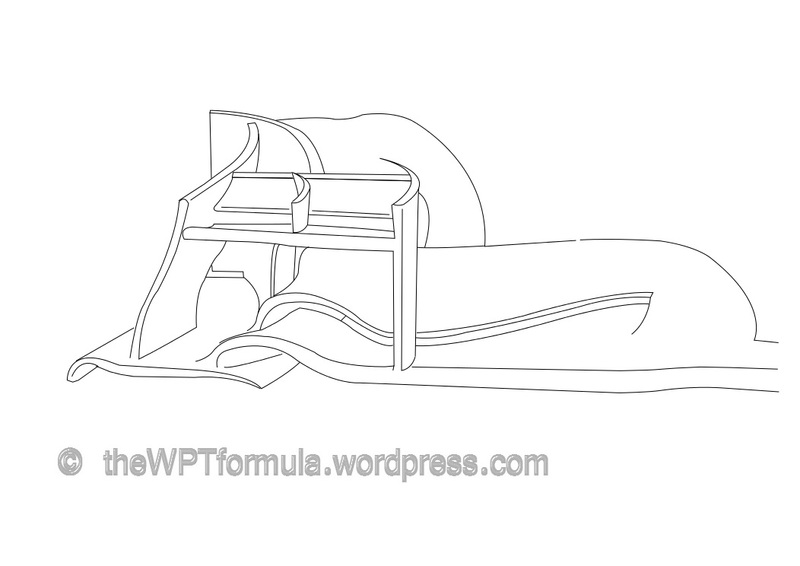 However, we could also see these new cascades on the front wing. The previous cascades (see here – http://cdn-9.motorsport.com/static/img/mgl/1500000/1520000/1523000/1523800/1523849/s1_1.jpg) were deeper in profile and had a more progressive gradient and also included a small dipped element above it. What we are now seeing on the C32 is a hybrid version of that seen on the Mercedes and Ferrari cars. The new cascade is very shallow with little gradient change across the two chords it is composed of. This suggests that it is an airflow managing device primarily, whereas before it would have produced a small amount of local downforce. This is the kind of profile that Mercedes have been utilising for a while now. 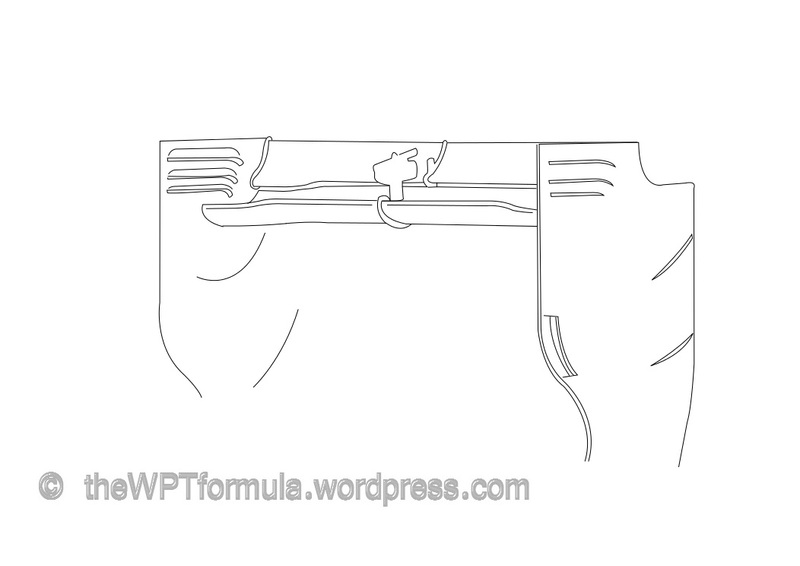 The second part of the component is the addition of a turning vane, similar the one seen on the Ferrari F138. This will divert airflow correctly around the front tyre and hopefully manage tyre wake more efficiently. A lot of attention is on the Anglo-German squad this weekend, as the F1 world wonders whether they can maintain their current form and have got on top of their tyre management issues. Mercedes have been using these IR cameras on their front wing since Monaco this year to look back at the front tyres and analyse surface temperatures. At the last few rounds they even installed them onto the cascade in such a way that they could use them for the race without compromising the aerodynamics of the car. Above we can see that they have reverted back to the removeable sensors to gain information. This suggests that they are confident in using the sensors during practice to make sure that their problems have been cured and that they can fully exploit the potential of the cascades during qualifying and race. 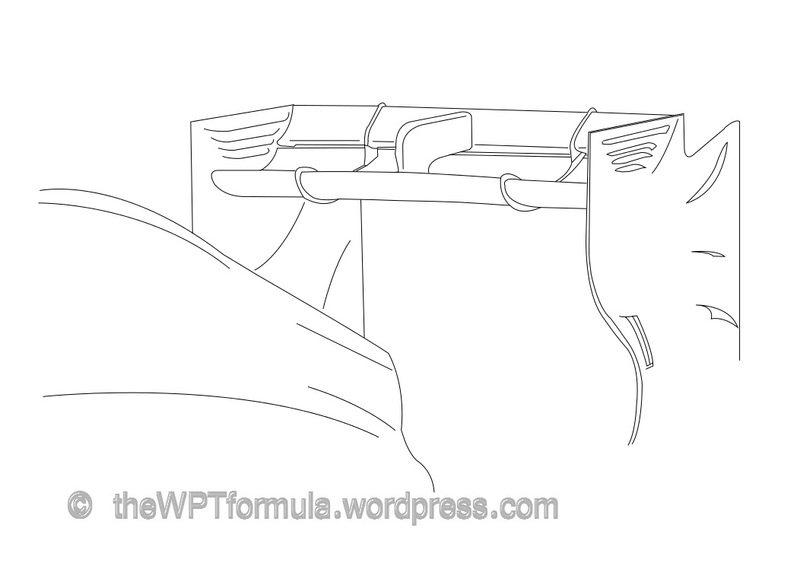 The cascades themselves have also been slightly modified, with both W04s featuring both old and new versions of the device, sometimes one of each type on each side of the wing. 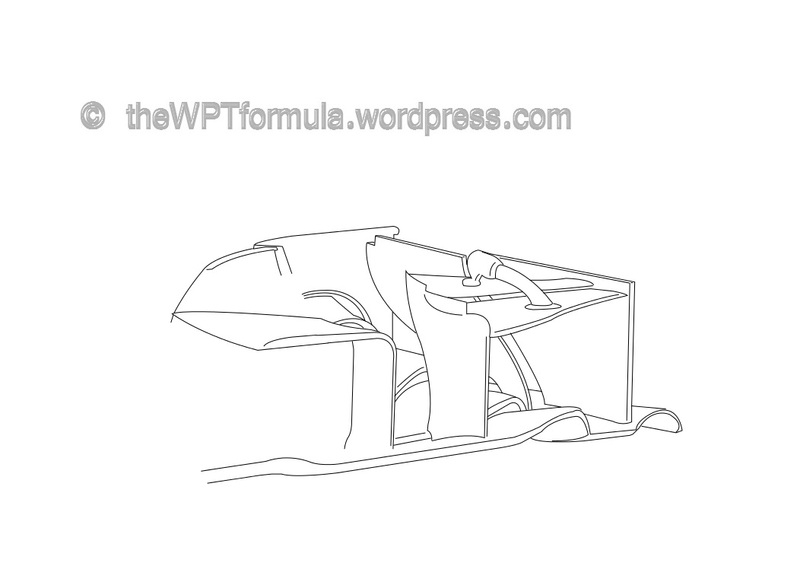 The above drawing shows the new cascade endplate. It no longer features the curved off fin and it is now flat, with a stepped effect along its profile. I don’t know what they are trying to achieve as yet, but I will try to find that out soon. The front wing they are using this weekend is a slightly older specification, as they are using the pre-British GP trailing flap that spanned to the very edge of the inboard section of the wing. Nico Rosberg’s car was also fitted with two large IR sensors beside the airbox that looked back at the rear tyres to also monitor tyre temperature. Their low-downforce rear wing has three horizontal slots in the endplate to reduce pressure difference at the wingtips, as well as new strakes along the side of the ‘plate that we are seeing on the Lotus and Ferrari cars in particular. The main plane is stepped at its outboard edges, creating a shallower profile at the middle of the wing. This design allows a slight compromise as they will be able to produce a tiny bit more downforce at the outboards areas whilst reducing drag along the majority of the wing. Interestingly, the team have also been testing a slightly higher downforce wing, coupled with another set of endplates that are similar to the ones seen above but have additional horizontal slots. They have also retained the tyre squirt slot for this weekend. Finally, Toro Rosso are another team to introduce front wing IR sensors to look back at the front tyres. These are removeable, but they have a neat mounting design that wraps around the top of the front wing endplate. They appear to be taller and look back at the very centre of the tyre, in comparison to the Mercedes version that looks up towards the top of the tyre. 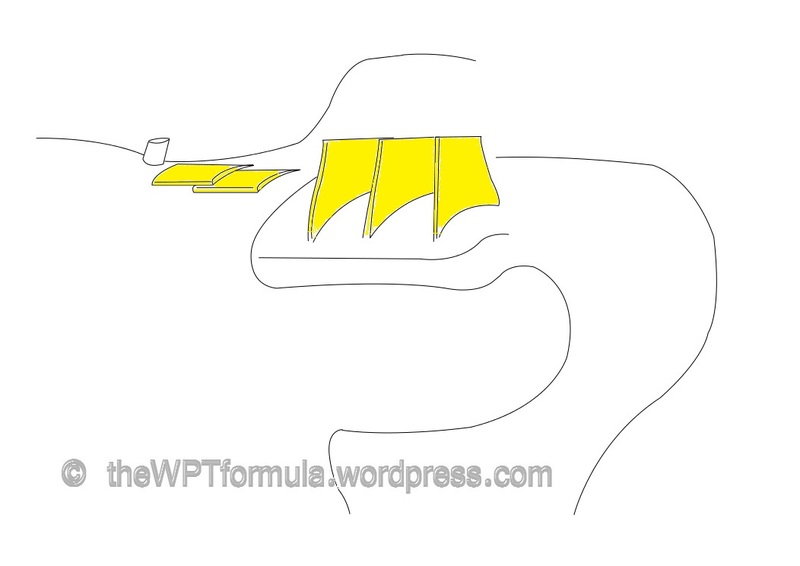 This entry was posted in 2013 Highlights, Technical Highlights and tagged 2013, Belgian gp, Belgium, f1, tech highlights, updates on August 23, 2013 by thewptformula.